Cloud Backup Solutions - Cypress Systems, Inc. Most businesses rely on physical onsite backups to ensure their data is safe. This usually requires a client to have an employee switching backup media on a daily basis. While functional, it is sometime not always practical. Cypress Systems, Inc. recognizes that this can be an additional responsibility that you may want to be free from. We are now offering our comprehensive Cloud backup solution to small and mid-range businesses. Our Cloud backup solution will enable you to forget about the technicalities involved and have a simpler backup that just works. Our Cloud backup solution is designed to be both cost effective and flexible enough to grow as your business dictates. Any backup solution must be highly flexible so that it can adapt as your business requires. Our Cloud platform allows us to offer single backup image restoration or individual file and folder restoration via our standard web interface. 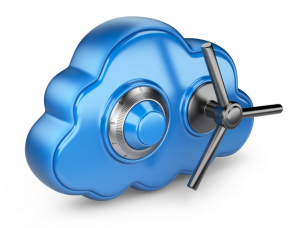 Our Cloud backup platform allows us to offer virtual server data restoration. This provides our engineers the ability to restore your data into a temporary virtual server which can see your business backup and running in minutes vs hours or days. Business continuity with a Cloud backup solution can be a simple and straightforward process. Cloud backups replicate silently in the background, sending you a daily report so you can rest comfortably knowing your data is safe. Backups can be stored locally on-premises as well, allowing for rapid “Bare Metal” recovery in the event of hardware problems. Backup a little or a lot. Our standard backup plan covers up to 1TB of selected data, however you can choose to only replicate critical data, leaving bulk archival tasks for physical media if desired. Easy recovery to virtual machine: You have the option to have a standby image of your servers pre-recovered as a virtual image for rapid recovery in the event of hardware failure. Encrypted and Secure: Your data is encrypted with industry standard AES 256 encryption, or optional 448 Blowfish encryption. Rapid Recovery: Recovered data can be downloaded either from your on-premises copy, or via a change-based rapid recovery system from the internet directly. Virtual Machine Backup: Cypress Cloud Backup can directly backup Hyper-V and VMWare based virtual machines. Optional archives allow for storage of data beyond the standard 28-day window. Cloud Backup ensures your critical mobile data on laptops is secured even when you’re away from the office. Flexible – Capacity and feature sets can be added as your business requires. Whether you are trying to create an entirely new backup strategy or trying to supplement an existing one, our Cloud based backup solution may be just the product you were looking for. Please contact us today for a free consultation to see how we can make our Cloud backup solutions work for you.